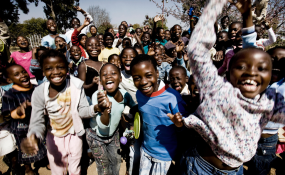 Bleak future for Zimbabwe's children. An annual service of remembrance is held annually at The Cenotaph war memorial in central London with this year's set for Sunday. The sanction was first imposed when Rhodesian premier Ian Smith's unilateral declaration of independence from Britain in 1965. Former president Robert Mugabe's withdrawal from the Commonwealth in 2003 ensured the ban remained in place. A Foreign Office spokesman explained to the London-based Telegraph newspaper; "High Commissioners from Commonwealth countries are invited to lay a wreath at the Cenotaph. Zimbabwe participated in wreath-laying ceremonies in the past. "This invitation no longer stood when Zimbabwe left the Commonwealth. If Zimbabwe were to re-join the Commonwealth, which the UK would welcome, their High Commissioner would once again be invited." Said General Sir Lord Dannatt, the former head of the Army: "Regardless of the politics, soldiers from southern Rhodesia who fought in the first and second world wars should be recognised along with everybody else from the Empire and former colonies." For former defence minister Julian Brazier, "The Rhodesian contribution to both wars was completely disproportionate, they showed immense bravery. Julian Lewis, the Tory chairman of the defence committee, added: "Whatever sanctions may have been taken against an obnoxious regime, it cannot, surely, have been right to penalise and prevent veterans and their families from paying tribute to their fallen comrades.